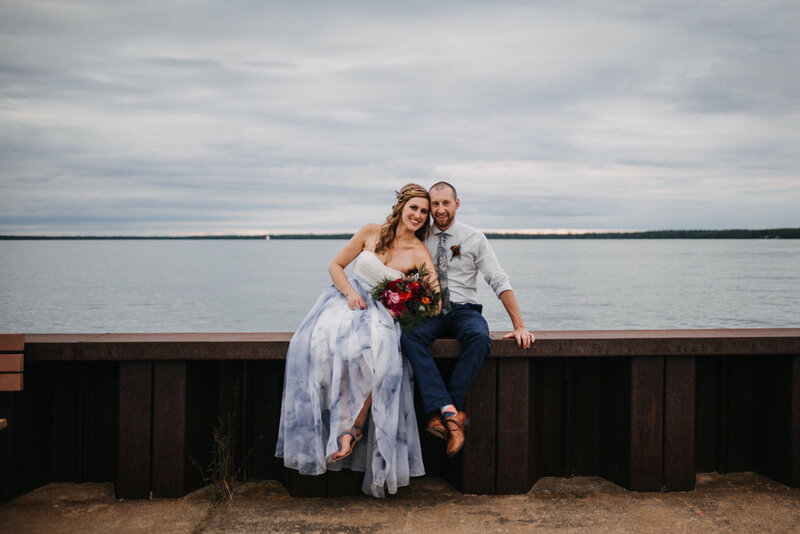 Pier B on Lake Superior was the perfect setting for this modern + moody styled shoot. 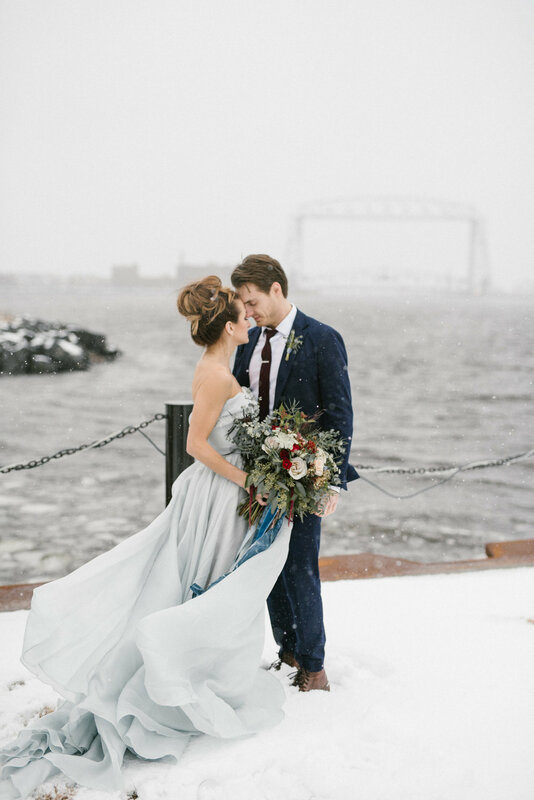 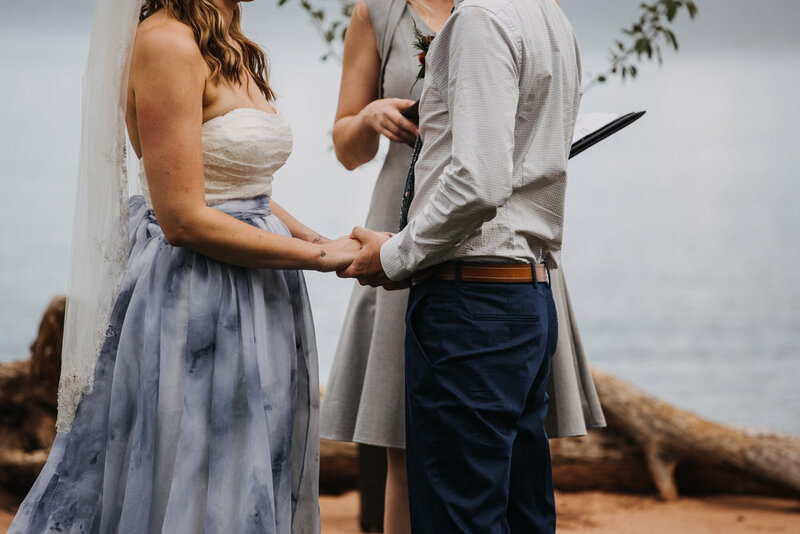 Stepping away from anything traditional, her icy blue gown + hand-dyed ribbon mixed with the dramatic waters of the lake, set up a romantic tale of your dreams. 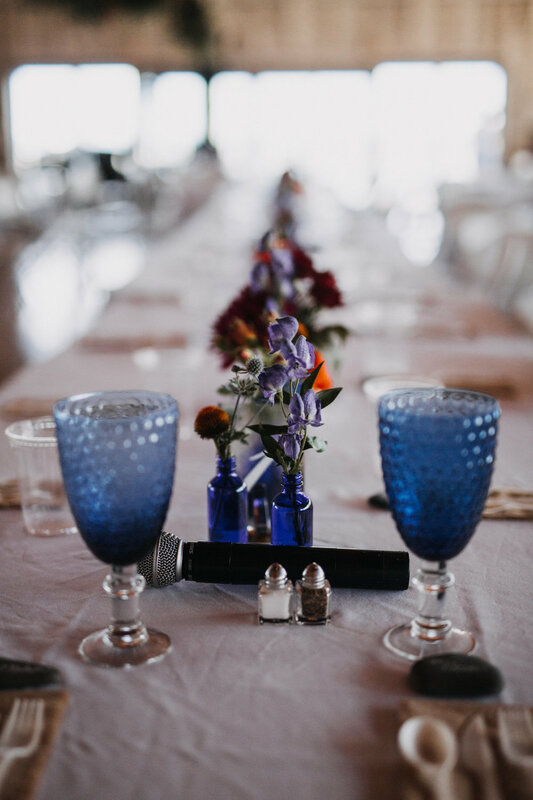 The bouquet consisted of roses, amaranthus, muscari, queen anne's lace, along with all varieties of eucalyptus accented perfectly with a multitude of lush, flowing ribbon in a variety of blue tones. 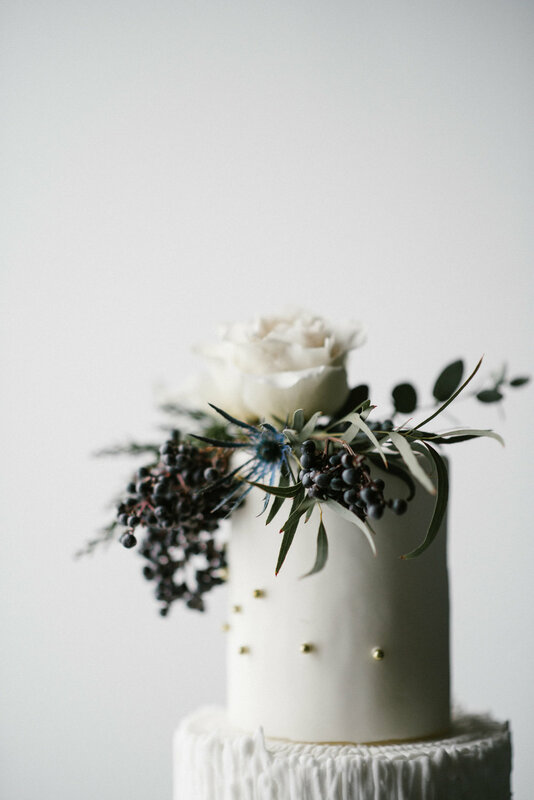 The boutonniere coordinating with the bouquet in a simplistic fashion consisted just of muscari, cedar, + eucalyptus. 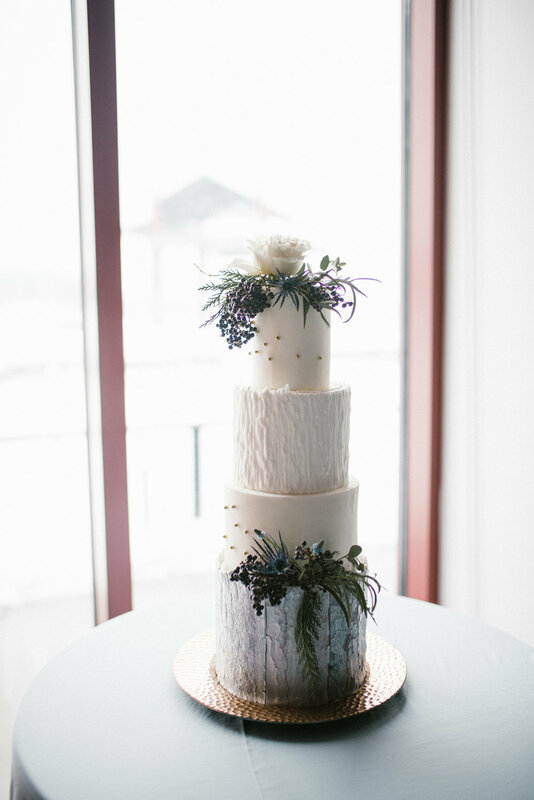 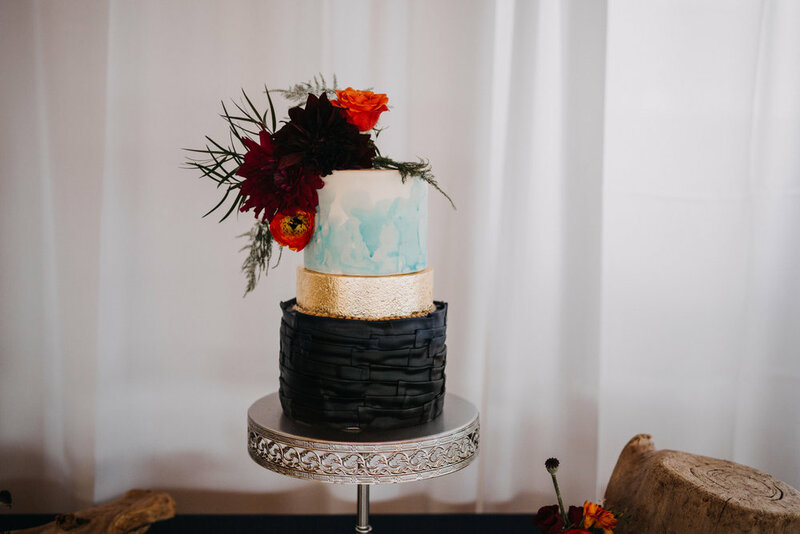 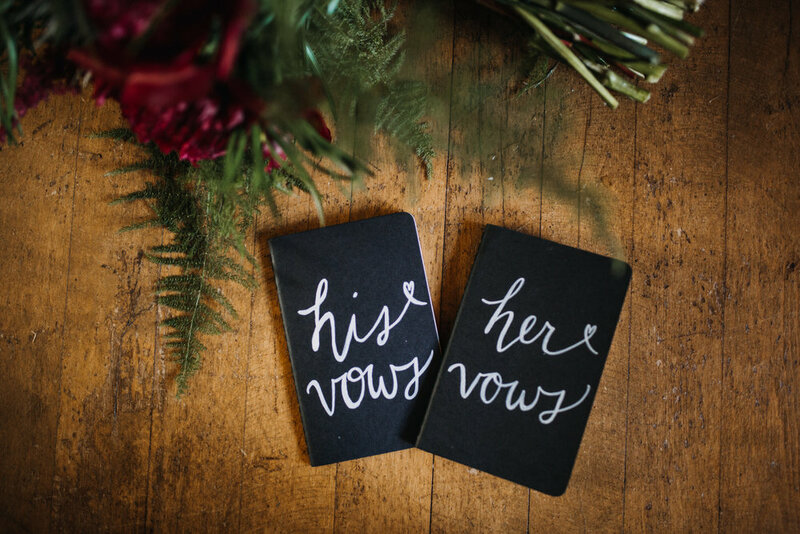 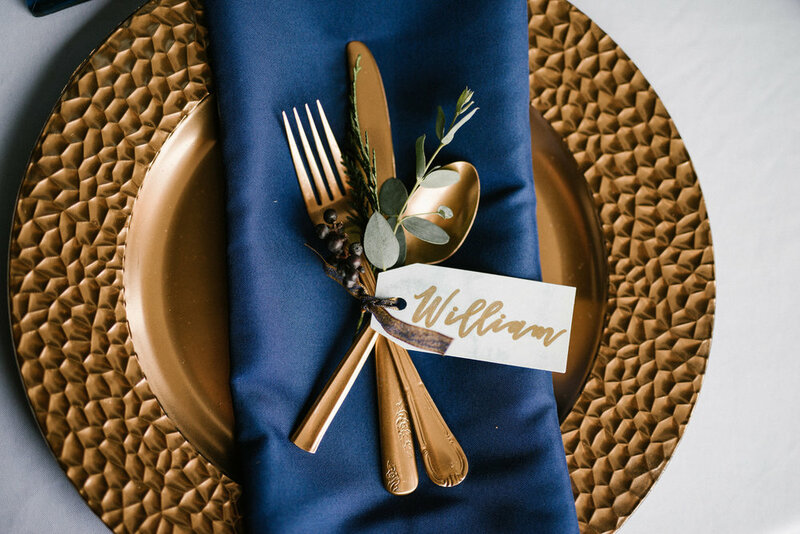 Mary from Pure Event Planning + Design coordinated this shoot to absolute perfection. 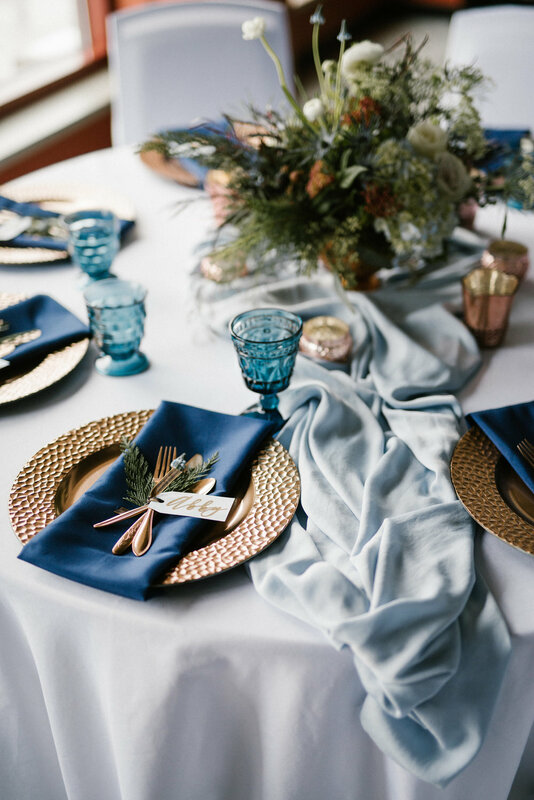 Her keen eye to detail + eclectic design stylings were key points to making this shoot an overall success. 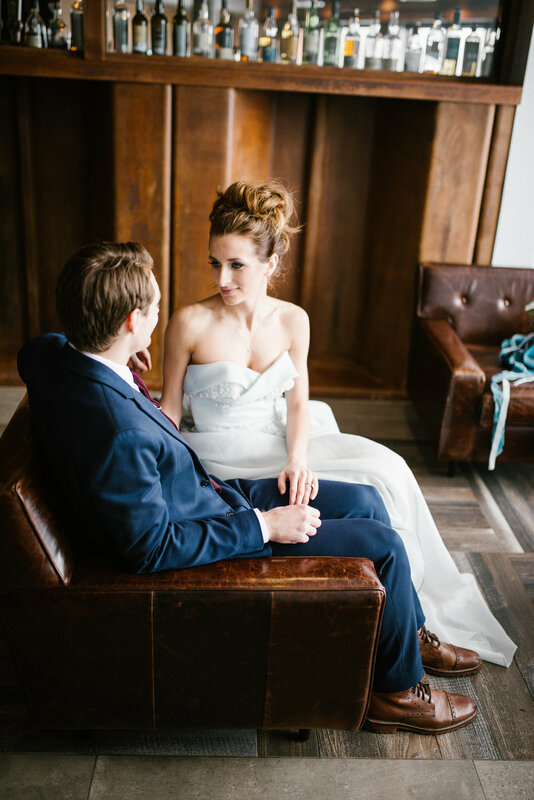 Kellie from Kellie Rae Studio captured the whole day with every perfect detail + moment. 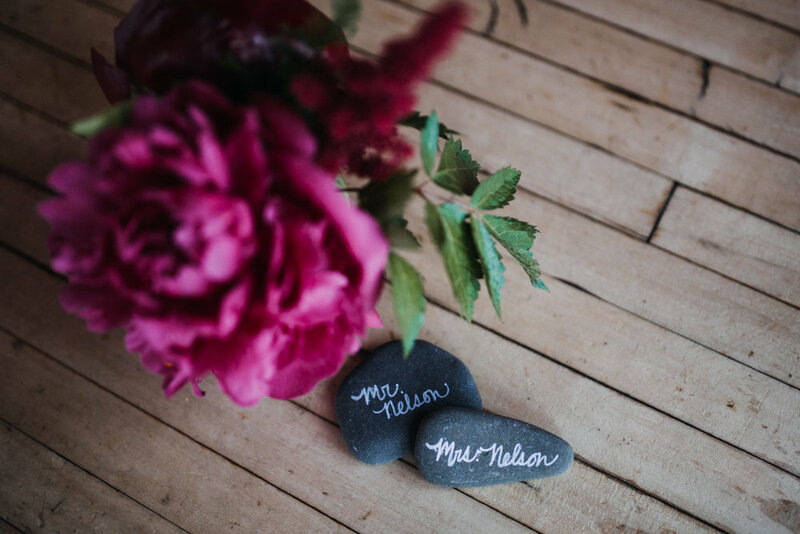 Her skill behind the lens is protrayed through the gorgeous images she produces.